Dr. Penn Tran was born in Pennsylvania (hence the name) but quickly moved to Los Angeles, California where he was raised. He has been an optometrist since 2003 where he graduated the Illinois College of Optometry in Chicago. 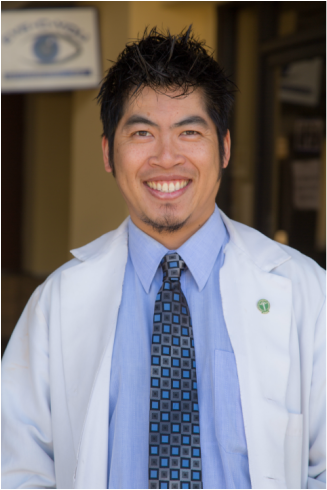 Dr. Tran has taken care of people’s eye-care needs in the Inland Empire since 2006 and is extensively involved in the community. Besides finding one’s prescription and checking your eye health & how it relates to one’s body … he is an expert at complicated contact-lens fittings. Most of all, he loves children so bring your kids for a fun and pleasant eye-exam experience. In his spare time, Penn loves playing and watching his sports.